Overflow is a user flow-diagram drawing tool used the world over by designers to make their work life easier. 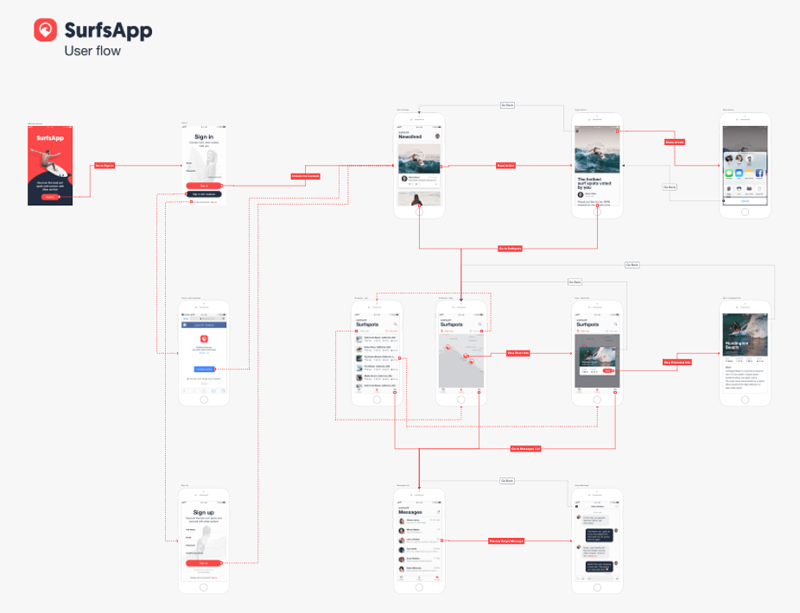 With some assistance from this tool, drafting user flow becomes effortless, thus helping designers to delegate attention to other important matters. An association with Overflow ensures that client’s designs are easily converted into user flow diagrams that can effectively convey a story. 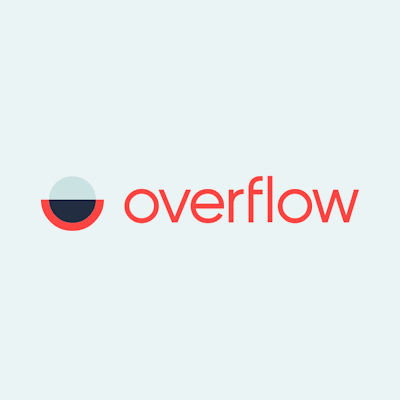 Overflow operates as a cross-platform tool that can effortlessly work with highly popular design tools to produce one-of-a-kind user flows, which are informative and user-friendly. With Overflow by their side, designers, as well as product managers, can showcase their ideas/work in a better manner as they can move from one design to another in a seamless way. The tool goes a long way in connecting the designers with their audiences as they are engaged throughout the presentation. Showcasing them before the targeted audience in the best manner possible. Overflow is a desktop tool so working with it becomes all the easier and convenient. Not only does Overflow support the latest Sketch features, but it also allows the user to customize the look and feel of the connectors, remove the ‘unnecessary’ connectors, apply device skins, and more. Overflow is a much-needed tool for the smooth and systematic workflow process. It is extremely user-friendly, simple to handle and insightful to the client requirements. Overflow works in perfect tandem with other applications like Sketch. With the help of this tool, designers can bring down the time needed to make designs by leaps and bounds. Working at an average speed of 3 artboards per minute, designers use Overflow to create a beautiful design concept of up to 60 artboards in very less time. Overflow ensures a smooth transition from one screen design to another so that all the ideas the designers wanted to convey are understood by the people concerned. Overflows work by bringing all the artboards, layers, and other designs in sync. Next, connectors are created on these layers, and they are edited/layered as per the user choice. After they are synced again, they are updated in Overflow, with the connectors intact. Overflow eases the work of designers, and hence, they are effectively able to impart their ideas with their customers. Created to tackle all the problems encountered in the user flow diagramming process, Overflow has succeeded to some extent, given the user feedback. Overflow is created to work with all main design tools in the market, especially Sketch in public beta. After opening the tool, the user must first sync their Sketch artboards to Overflow and draw connectors from the desired layer to any screen. Next, add labels onto the respective connectors and include texts, images, and shapes as per your design requirement. In this way, attractive user flow diagrams are crated in a matter of minutes. Users are free to apply device skins to the devices as per their choice. After the user flow diagrams are created, make use of a playable and interactive user flow diagram to convey the design story to the target audience. The interactive flow diagram allows the zooming in and zooming out to list out the content matter. The designer can also make use of a rapid prototype to convey the message, one screen at a time. Overflow also has on offer cloud sharing facilities in the form of Overflow Cloud. Users can share their diagram presentations via Overflow Cloud to any personal computer, laptop, tablet, or mobile phone. Next, the article will highlight the pros and cons of using Overflow tool. Easy to use: A major benefit of Overflow is that it is very easy to understand and use. This works in favor of any first-time user. Caters to all needs: Overflow users all across the world are unanimous about one fact that the desktop tool fulfills all their requirements. Requires More Integration: Designers working with Overflow have pointed to the fact that the tool needs to be more in sync with present tools for it to function better. No Beta Access: A negative point about the Overflow tool is that it does not provide beta access for Window users. This will not work in favor of Overflow as most people use Windows desktops. Overflow is a newly launched tool and in spite of that has been well-appreciated by designers worldwide. The user flow diagrams help designers convey their data in a better manner to their audience and help with more interaction and coordination. We give the tool a big thumbs up! Posted April 8th, 2019 in Infographics. Tagged: desktop application, diagram, workflow.